Elsafe Sentinel in-room safes securing guests’ valuables at Marina Bay Sands. Home »Elsafe Sentinel in room safes securing guests’ valuables at Marina Bay Sands. Elsafe Sentinel in room safes securing guests’ valuables at Marina Bay Sands. The Elsafe Sentinel II in-room safes from Assa Abloy have been installed at the famous Marina Bay Sands resort in Singapore to provide a secure storage solution for their guests. The massive 2,561-room Marina Bay Sands resort aims to provide the ultimate luxury experience for world-class travellers with an elegant casino, the unique SkyPark, a shopping mall, and more than 30 gourmet dining options. 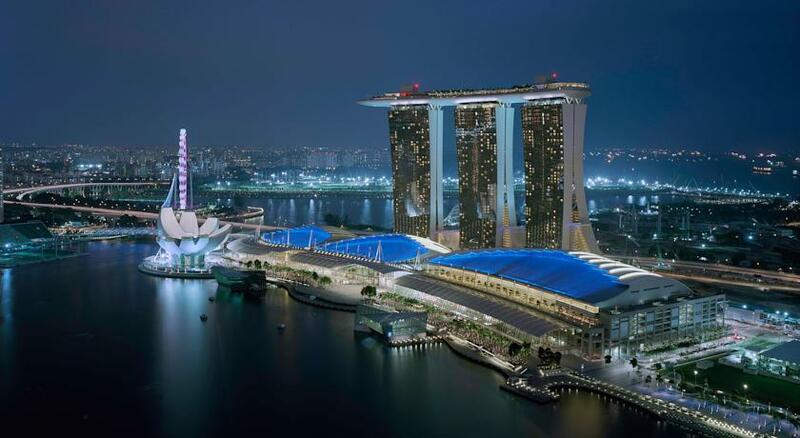 Given the high level of customer traffic at this destination resort, Marina Bay Sands required a reliable security system including adaptable and convenient in-room safes for their guests. Incorporating the latest locking technology, including anti-tamper labyrinths and solid-steel hinges, Assa Abloy Hospitality’s state-of-the-art Sentinel II in-room safes are helping guests keep their valuables safe and secure in their own rooms. The Elsafe Sentinel II in-room safes were installed at the resort with their strong security features comprising of an industry-leading audit trail, spring-loaded doors, and Flash-RAM memory to provide the ultimate solution for protecting guests’ valuables. The attractive, adaptable design also makes the Elsafe Sentinel II perfect for blending into any luxury hotel environment. The Elsafe Sentinel II in-room safes at Marina Bay Sands provide guests the assurance that their valuables will be safe in their rooms. The Sentinel II range features an adaptable design to support future upgrades cost-effectively.